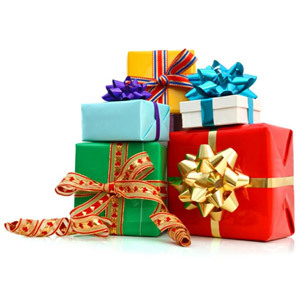 Most of the buyers of the gifts online for their loved ones prefer sending something exclusive and something unique to enhance the personal ties with them. In fact, at Giftcart.com, we offer the most spectacular gift ideas that are personalised in the most innovative way to bring great smiles of joy on your loved ones’ faces.We offer photo engraving on wood online India based on the photographs uploaded by the buyers. Our state of the art facility has the modern machinery for woodworking, especially for digital engraving on the wood. The wooden plaques would be made of the best quality, durable wood with the smooth texture on it. So, the wood is always easy to work on. While placing your order for the personalized wooden plaques as a buyer, you need to choose the appropriate variety relevant to the occasion for which the gift is being sent. We ask for the upload of the photograph and the digital engraving with the modern technology on the wooden plaque would be derived from the same image. The photo engraving on wood in Bangalore can be the best way to gift a memorable keepsake to your friends, partners, family members and colleagues on various occasions such as the birthday, Valentine’s Day, wedding anniversary and Teacher’s Day. Our products are designed to suit the various occasions that you can choose from the available range of designs. Our motto behind every creation would be to enable you, the esteemed customers, to send something truly creative to develop your relationships and remain in their memories for the most innovative gift ideas with the rare sense of beautiful presentation added to it. This photo print on wood online India would be specially designed to greet and honor the favorite teacher on the occasion of Teacher’s Day. The photograph of the particular teacher along with the beautiful and meaningful message that explains the way the best teacher teaches. This can be a great reward for the beloved teacher from the student that accepts his contribution and expresses the gratitude for it. Wooden Engraved photo for a birthday is a fascinating birthday gift idea engraved with a spectacular message along with the photograph of the birthday celebrity. This birthday gift would be remembered for the years ahead, for the interesting way of presentation and the beautiful concept. This gift can be the great alternative to other typical and predictable birthday gifts. The wooden round would be a cross section of the bark of the tree. The image of the beloved wife or the girlfriend is engraved o0n the wooden plaque along with her name. The fabulous texture of the outline beautifies the natural outer surface of the tree, bringing a traditional themed home décor design, and the digital engraving adds the touch of modernity top this wooden photo plaque. 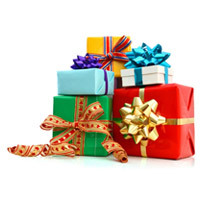 Giftcart.com has emerged as the treasure of most attractive and appealing gift ideas for various occasions and various relations. The wooden plaques would add glamor to the occasion and make the person feel absolutely delighted to be gifted with this tremendous gift idea. Apart from the wooden plaques, Giftcart.com is the preferred online shopping portal for many other personalised gift ideas such as the cushions, mugs, jigsaw puzzles, photo frames, posters, easels, clocks and much more.